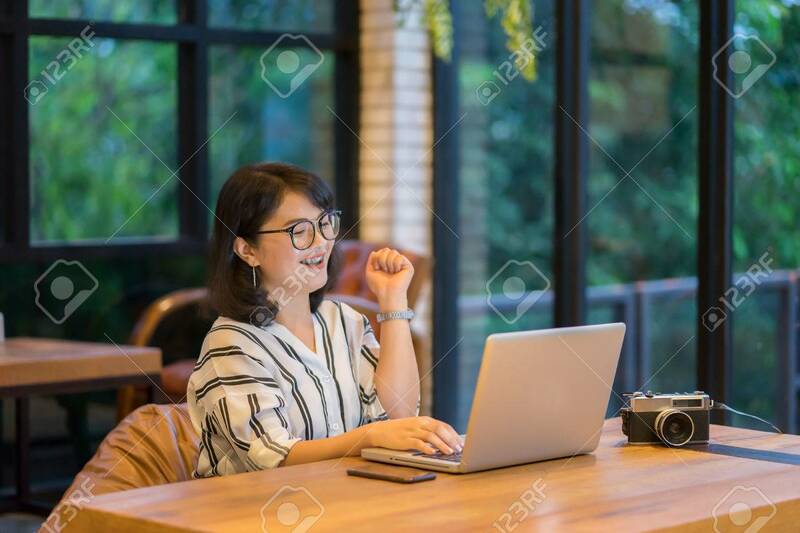 Asian Woman Working In Co-working Space Project With Generic Design Laptop. Analysis Plans Hands,Girl Smiling And Looking At Digital Screen,she Checking Email,mailbox About Her Payment Online Shopping Banco De Imagens Royalty Free, Ilustrações, Imagens E Banco De Imagens.. Image 80700552.